Soundproof caters to dinner parties, clubs, home tours, weddings and any other creative endeavor that requires a relaxed atmosphere with jazz.Sound Proof is a collective of musicians that love to play music in an impromptu fashion, pulling together a style of organic music yet still highlighting jazz and blues. The group changes forms according to the gig they are catering to. Jason is the primary songwriter for the band of gypsies. He also acts as a solo artist who books under the name of Sound Proof. World Famous Milestone Charlotte N.C.
Jason Hanley seems laid back and mellow but what he can do with a guitar is a bit more complicated. His style is rooted in jazz and blues. His sound ranges from funk to outright rage. His lyrics can polish loss until it glows, make a programmed population think, and even plunge us into wells of compassion just when we thought we’d never care again. His compositions move live audiences to laugh, cry, and get mad when getting mad matters. Then there’s his dreamy, mellifluous side that just lets you relax into an easy groove. “Music ain’t just about hearing with your ears,” Hanley explained. “Your whole body is a receptor. I compare it to a painter’s pallet. The more colors the painter has available, the more he or she can paint what’s deep down inside.” Whether playing solo or with his collective Sound Proof, Hanley adjusts his repertoire to suit the gig. His group gives their all, and audiences find relief from the humdrum repetitions of the daily grind. When not performing, he’s composing in his studio, or recording other artists. Hanley, who has lived in Lake Worth, Florida for the past 12 years, was born in Detroit, Michigan and raised in Charlotte, North Carolina where he began playing guitar at fifteen. When Ari Lehtela, heard Hanley playing a tune, he asked, “What are you playing?” “Something I made up,” Hanley said. “That’s your strong suit. Keep writing,” Lehtela responded. “I learned the blues from Ari. He was an inspiration, Hanley explained. “His sound seemed effortless but he was all about honing your technical skills.” Ari Lehtela is one of the Carolina’s most innovative luthiers.Although, in college, Hanley studied jazz, the ultimate American art form, his influences range from the social commentary of Bob Dylan to the joyful wailing of personal pain we call the blues. A genre bending, risk taker, Hanley is proof that deeply talented, down home musicians are a real force in the United States. Steve Jernigan has been the bottom end of Sound Proof's folkified blues driven psychedelic jazzified sound for a couple of years now. He has been playing Bass since the fourth grade and continually redefines the term groove. Steve's played classical, blues, jazz, rock, folk, and even show tunes. 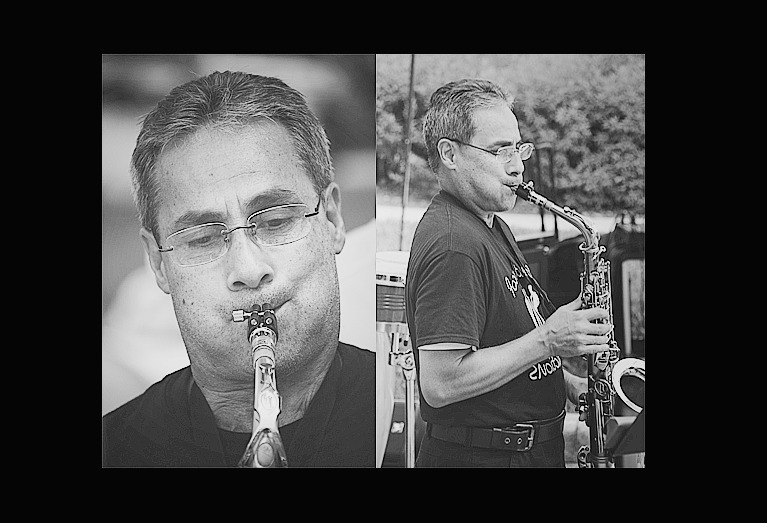 He has played with many local and regional artists, Grant Livingston, Marie Nofsinger, The Gene Mattis Orchestra, The PBAU Symphony, Phillis Diller, Mitch Miller, The Stan Kenton Reunion Band, The Blue Ridge Country Ramblers, and Mr. Barracuda. 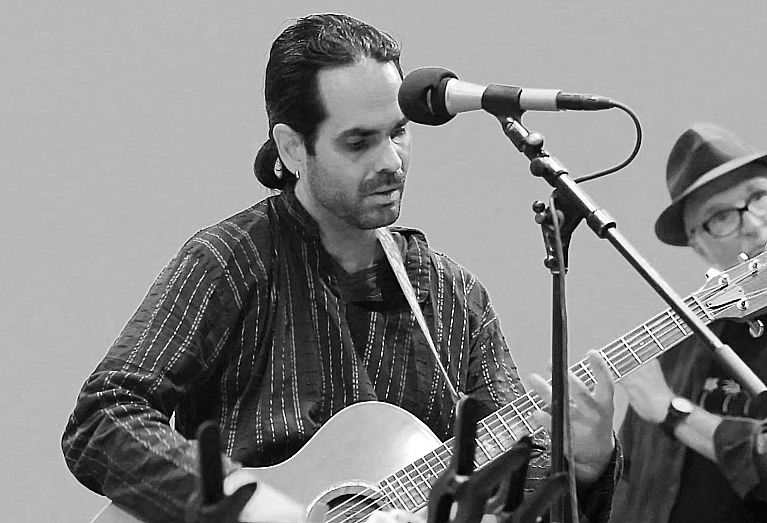 His musicianship and improvisational skills have helped to create a trademark sound in the SoundProofProductions music catalog. His classical training has helped the sound move more toward a compositional undertone. Jim Kovalcik rounds out the Sound Proof style with his high tones and flutified aerobics. Jim has a B.A. in music and has taught theory and composition for more then 20 years now. He also plays with the band Forest which is comprised of Jim and Vinny Monaco, it is a new age duo with a story teller vibe. His flute playing has been reminiscent of Jefferson Airplane and brings an air of the 60's to the sound. Petro Bass is the newest member of the Sound Proof family. He brings a rhythm to the mix that is one that can't be denied and stands on its own. 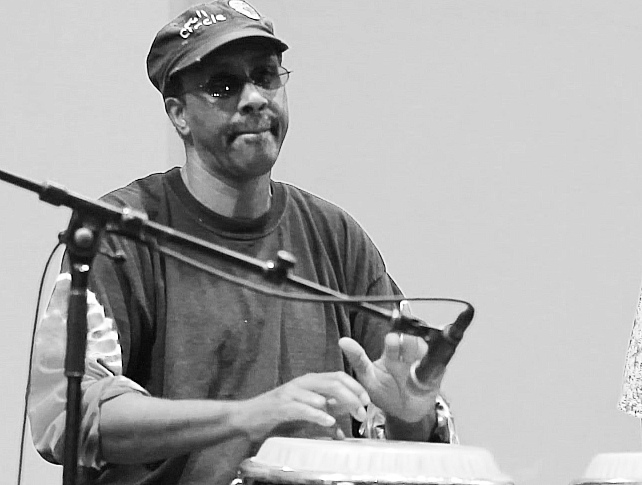 He has a long career as a percussionist and producer and has worked with some of the greats. Norman Connors, Phyllis Hyman, Jose Feliciano, Pharaoh Sanders, Sun Ra, Melba Moore and Lou Rawls, New York Night at the Montreux, Switzerland, Jazz Festival with Freddie Hubbard, Gerry Mulligan, the Brecker Brothers. Live Album at the Montreux Jazz Festival, Chuck Jackson, and Caribbean Tour Stacy Lattisaw. Petro also worked on Broadway in "Innocent Black", starring Melba Moore, with musical directors McFadden & Whitehead, and more recently played with Derek Trucks, Arrested Development, as well as an off-Broadway production with Debbie Allen. Petro also worked in Las Vegas with Ray Charles and Rich Little, in addition to performing and touring with the late Gregory Hines. Petro has accompanied Angela Bofill, Kim Waters, Jean Carne, Ben E. King, Miki Howard, Marion Meadows, and Bruce Springsteen, during various concerts and club dates.Seven years ago, Petro released his first CD - Whack Attack! Now, he continues his composing and production journey with Full Circle. Both CDs show how creatively diverse his talents are.A powerful presence on stage, Petro Bass is genuine and humble. 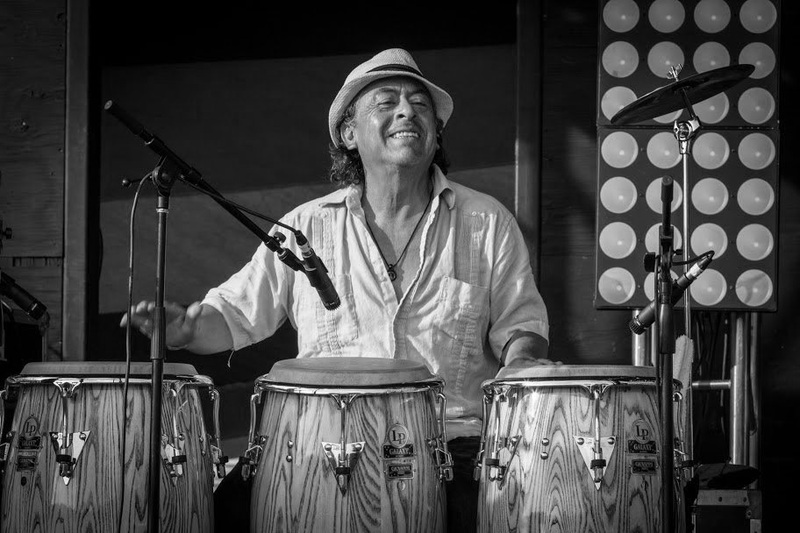 Nery Arevalo is a percussionist raised in Cambridge Mass. and an immigrant from El Salvador Central America. He started playing drums at an earley age and attended Elma Lewis School Of Fine Arts, Babatunde Olatunge ( Nigerian drummer, educator, social activist and recording artist), was the drummer in residency at the school during this time and also Nery's mentor. Nery's musical journey started with the James Montgomery Blues Band from Boston. He later went on to become part of NPR'S mountain Stage band for the next 5 years, and played with the likes of The Bob Thompson Unit, Horse Flies, Donna The Buffalo, Sherry Belafonte, Lanzallamas, Morikeba Kubaye, Nag Champyions, Manhattan Transfer, Hank Roberts and now Nery is part of the Soundproof family. Bob Hope, Bobby Blue Bland, Tigris De Norte, Bo Diddley, Crossfire, and the Phantom Crew. He has joined the Sound Proof family to round out the sound with his saxophone genuis. 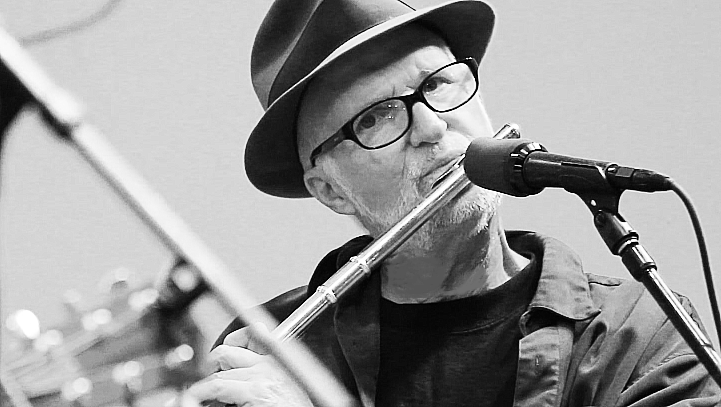 He adds yet another 30 years of experience to the band of gypsy's with his ability to improvise like a master and keep the humility of sound at his finger tips. Luis is currently living in Florida. Shortly after arriving he was tapped to perform with Bo Diddley for a fund raiser for Janet Reno. Victoria Pearson is a singer-songwriter that has been a crucial part of the Sound Proof family for about 8 years. Jason and Victoria got together in about 2000 and started singing together. Victoria brings an honest look at the voice and the song to Sound Proof. Her musical background is one of a folk based singer songwriter. She spent quite a bit of time playing in Chicago at the Old Town School of Folk Music. Her talent spearheaded the band Jane Doe, they played many coffee houses and festival/ benefit gigs. Today day her primary focus in Sound Proof is vocal harmonies, though in the past she also played guitar for the band when it was performing as a duo. Keith Bell is a veritable chimpanzee with sticks; a natural, hard-swinging, yet sympathetic drummer originally from Chicago. "I don't miss the traffic or the winter," says Bell between songs. 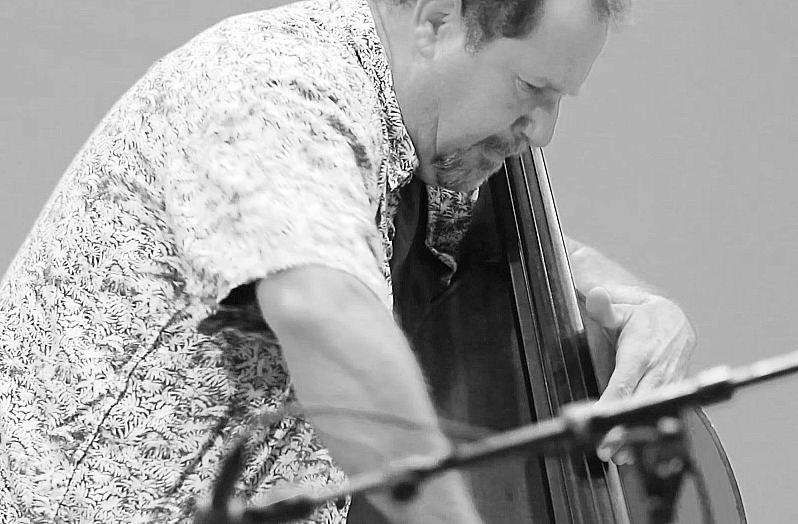 With roots in rock and blues in Chicago, Keith focused on jazz after moving to Florida when he formed and managed Jazz Stream beginning in 1999. He's been happy with the opportunity to rock out again with Jason and Soundproof. 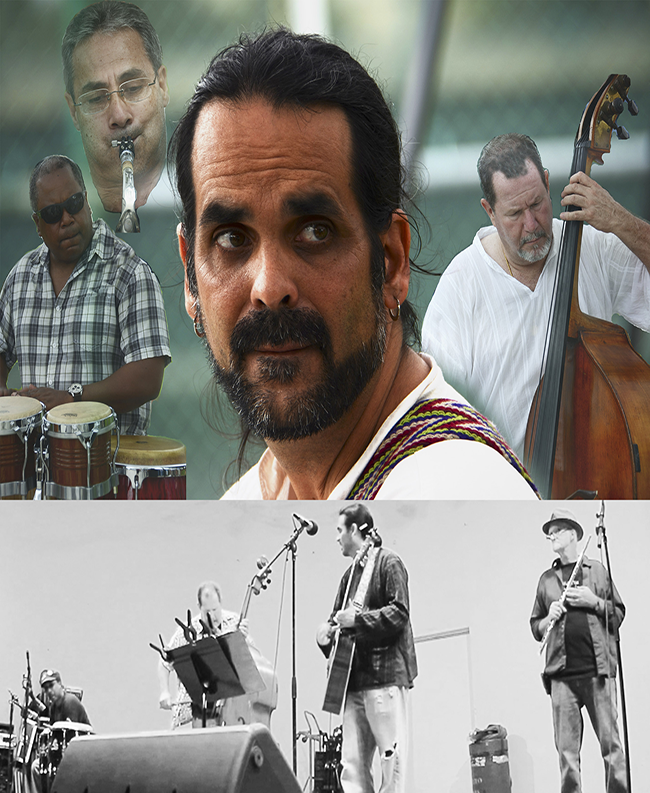 Rich Paray is a classically trained Tablas player from Guyana. He usually accompanies classical Indian singers and teaches drum lessons. His elaborate rhythms and musical endurance have aided in the live Sound Proof shows for a couple of years now. Rich also is involved with drum programming that allows for a landscape where the players of Sound Proof can cohabitate. His sound has added a world tone to the band. Marijah Speziale brings another voice to the Sp family with her silky jazz voice. Marijah is a multi talented, singer, songwriter and percussionist whose dynamic performance is both energizing, passionate and soul stirring! Singing since the age of five and drumming since her late teens, she is equally gifted in both arenas, and her versatility enables her to fit in withSound Proofs diverse ability to change style and feel at the drop of a dime. Here is a list of other players that have been involved with Sound Proof or been part of the SoundProofProductions catalog : Doug Howard (Pianist), Gregory C. McLaughlin (Songwriter), Jacques L. Heideier (singer-songwriter), Phil Mann (multi-instrumentalist), Daniel Miller (percussionist), Blake Cline (vocalist), Jimmy Barton (singer-songwriter), Rene Sims (Singer-Songwriter), James Venable (BlackDoorFilms), Melissa Griffin (songwriter), Von Petersen (poet, author), Karl O'neill (songwriter/guitar player), Seth Fraiman (percussionist), Ildebran Sanchez (percussionist), Jason White (songwriter), Mike Mangeoglu (guitarist/ composer), Keith Bell (drummer).